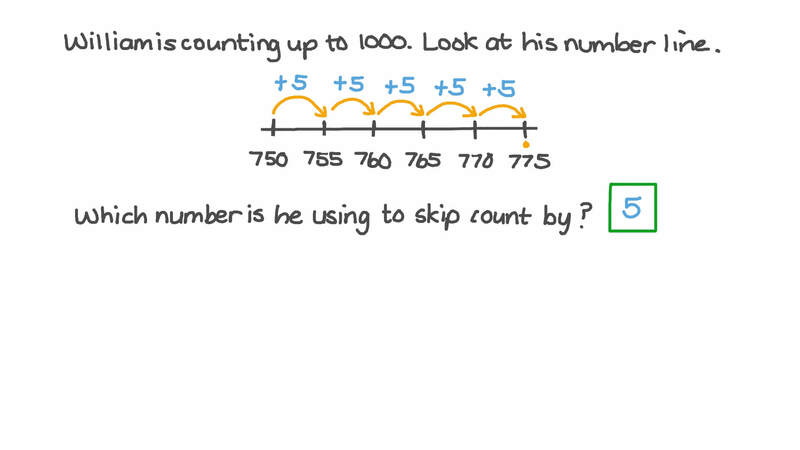 In this lesson, we will learn how to use a number line to model skip counting by 5s, 10s, 50s, and 100s. Nabil is counting up to 1 0 0 0 . Look at his number line. Which number is he using to skip count by? A class is skip counting on a number line but some of the numbers have been covered in ink. What skip count do the numbers follow?